Mishimotos are basically China knockoffs of Fluidyne. The dealer I bought it from even said the same thing. 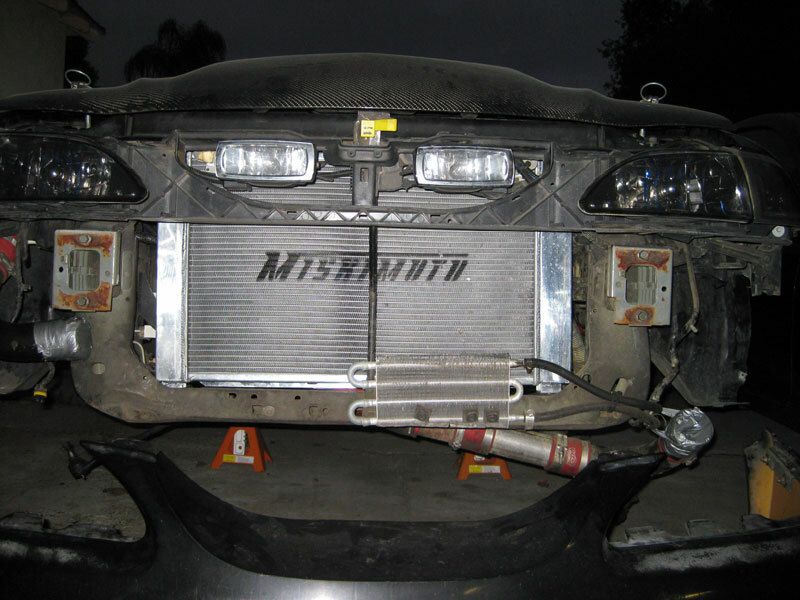 The Mishimotor radiator usually sells for $225, Fluidyne price is about 50% more. There are random posts on the forums of both having leaking problems. 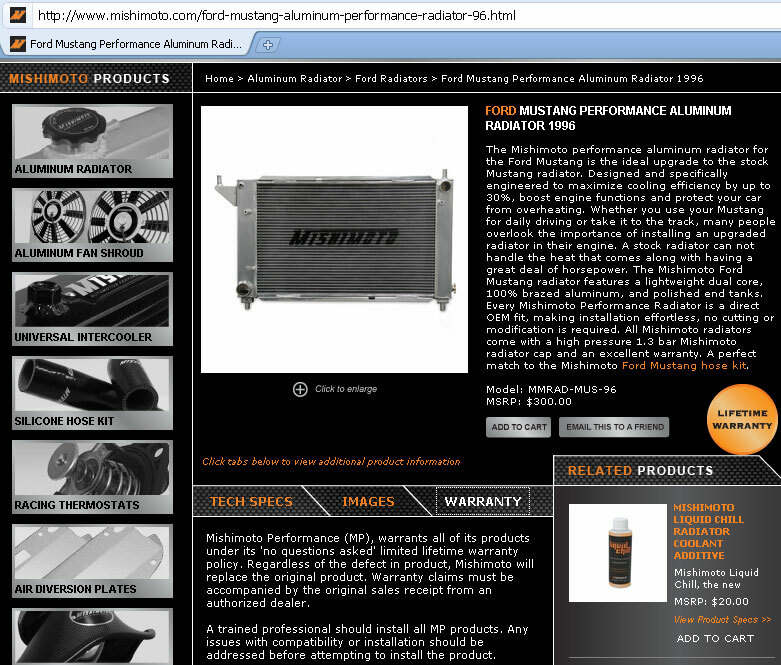 Mishimoto advertises a lifetime warranty. Fluidyne advertises a 1 year warranty. With both having the same leaking problem, it doesn't really make sense to go with the "brand name" Fluidyne. Reading online, it seems Fluidyne pretty much just says "screw you" after the warranty expires. Typical American junk. 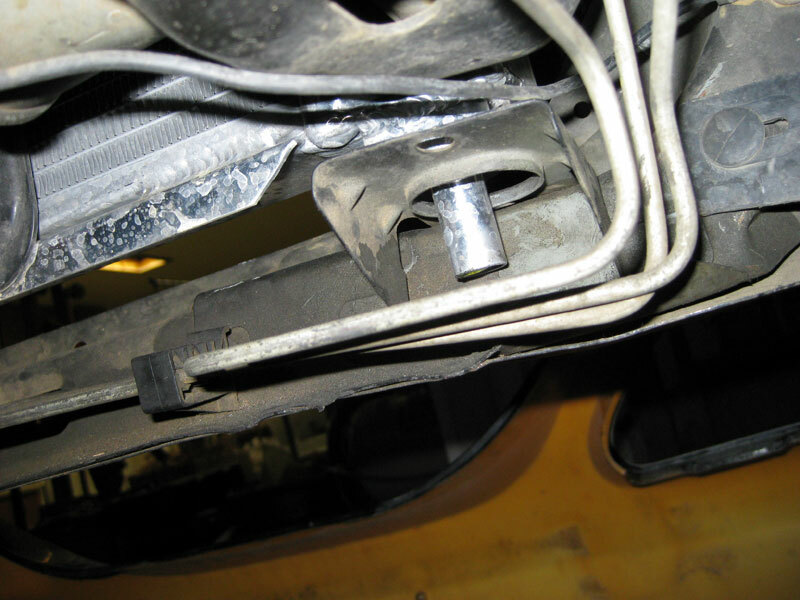 The passenger side lower mount bushing had to be removed to even get the other three brackets on. It seems to be very difficult for China to weld brackets within spec. 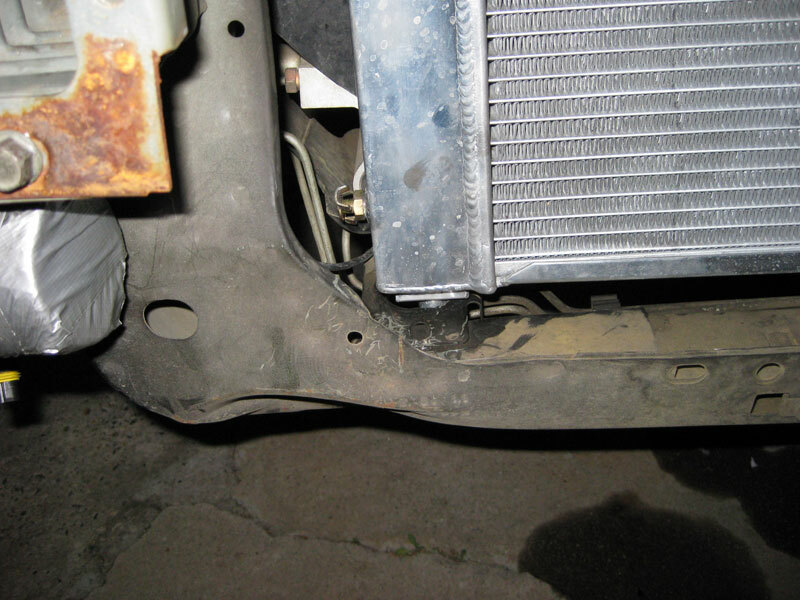 Even with the bushing removed, the radiator post has a very slight pressure pushing against the chassis mount. 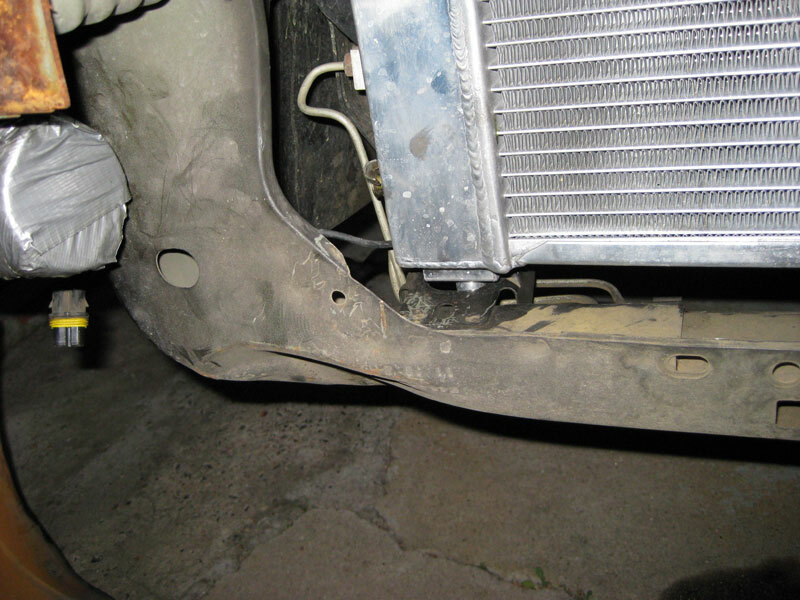 Cheap parts are cheap, but even knowing this issue I'd still buy one if I were looking for a stock-replacement performance radiator.